In October I did site visits of 21 resorts- I was looking to find resorts that I thought were outstanding, offered a great value, beautiful wedding locations and great packages. Out of those 21 resorts I have chosen a handful that really stood out in amazing ways, were responsive (that is huge in the RM!) and I knew would take care of my brides, whether they were going for a DW or Honeymoon! I'll be doing a series of reviews that include interviews that I did with the resort sales staff and WC's- please keep in mind that the order that the reviews are presented are not based on a first, second, third basis as each offer something different and my personal preference may not be what works best for a bride and what she wants! These are resorts that I have chosen to work with and be sponsored on the forum and that may also offer additional amenities to our BDW brides! A 4.5 star property â€“ all inclusive . This resort is approximately 15 minute drive from the airport. 30 minutes from Cancun & 30 minutes from Playa Del Carmen. Ambience â€“ Adults only. Romantic seclusion with the excitement of a deluxe resort. Mostly American & Canadian clientele although Europeans are quickly discovering this wonderful property!. Size â€“mid size resort â€“ 440 rooms. Excellence Riviera Cancun is an all suite resort- also available are ADA accessible suites. Service â€“The employees at this resort are incredible! They are extremely friendly, attentive and warm. Grounds â€“ Very well kept and clean.. Lots of palms and flowers. Not as lush as other resorts in the Riviera Maya area but very well kept and park like in appearance. Pools â€“Meandering, 6 pools,(2 heated in winter) 1 swim up bar, 5 outdoor jacuzziâ€™s. Floats are provided as are padded loungers. Food & beverage service poolside. Beach â€“ Fairly large beach with soft powdery white sand, warm blue water. Staff maintains the beach area constantly so it is very well kept up. Padded loungers, thatched palapas and food & beverage service beachside. Food & Beverage â€“ is fairly good to excellent! Nine restaurants on site - 8 of those a la carte. French, Italian, Meditteranean, Mexican, Asian & Japanese, Lobster House & Steakhouse. Reservations are not required. There is a dress code that is strictly enforced for men- long pants, collared shirt and closed toe shoes. Ten bars serve Premium & Domestic beverages. Bars include a Cigar bar, Piano bar â€“ sing along & comedy, Fruit Juice bar ( near spa open 9am -4 pm serving fresh fruit smoothies. 24 hour room service. Entertainment & Activitiesâ€“ Daily & Nightly entertainment and live music. Includes beach volleyball, tennis, basketball, bicycles, archery, air rifles, table tennis, darts, billiards and non motorized watersports - windsurfing , kayaks, snorkeling, sailing & scuba lessons ( in pool). Other activities include aerobics, water polo, yoga; Spanish, dance & cooking lessons. Fitness Center & a Fitness Trail. Texas Hold-em at pool. Theme nights. Welcomed with a cool towel & cocktail-perfect start to a vaction! One of the best spaâ€™s in the Riviera Maya-many treatments include access to the hydrotherapy pool! For us, all-inclusive luxury is more than a label.And excellence is more than a goal. It is who we are. Every day, every night, for every guest. â€¢Late checkout for bride and groom (based on availability). 7 nights. Guest list should be advised at the time of reservation. Restrictions/ Exclusions for the free wedding package apply. for the free wedding package apply. certificate at time of check in. Can you tell me a bit about your wedding coordinators and their experience? 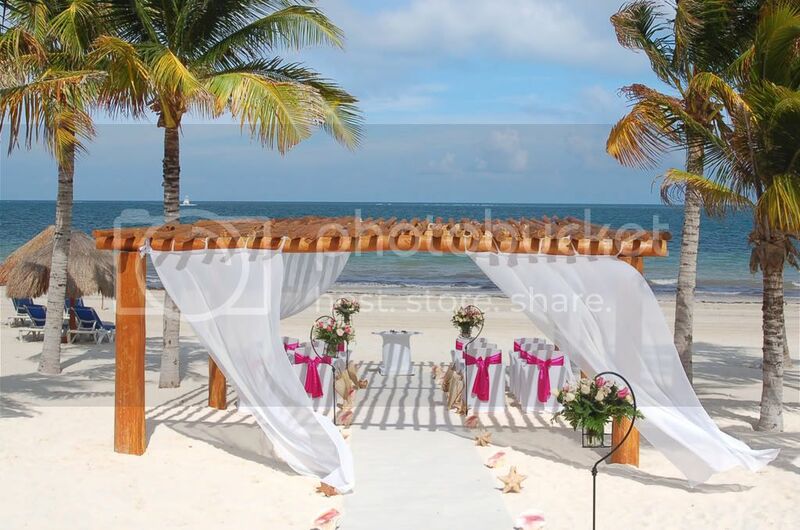 Our Wedding Coordinators at Excellence Group Luxury Resorts have been selected as one of the very few wedding and event professionals in the Cancun Area with a very long professional history within the field. 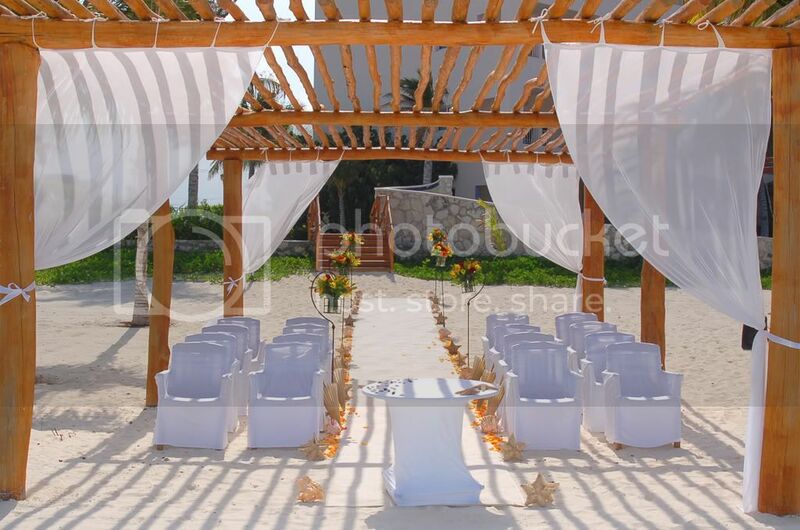 With over 180 weddings during the past year at Excellence Riviera Cancun and over a 100 at Excellence Playa Mujeres (within its first year of operation) have made of Excellence Group Luxury resorts the best choice for a wedding. We have performed weddings from 2 up to 450 guests. How many weddings a day are allowed to be performed at each property? 2 Weddings per day maximum. How does a bride & groom confirm their wedding date & time? Are they provided a confirmation number or an informal email? What is the typical response time to a wedding date & time request? The confirmation for weddings is sent via email together with a confirmation number per wedding/event. And the response time from our Wedding Coordinator is 24 to 48 hrs maximum. What are the preferred wedding ceremony locations, and can you provide photo’s of the locations ( preferable decorated)? Are they provided free of charge with the wedding packages? What are the backup locations in case of inclement weather? We would also need the maximum number of guests that each location could accommodate. 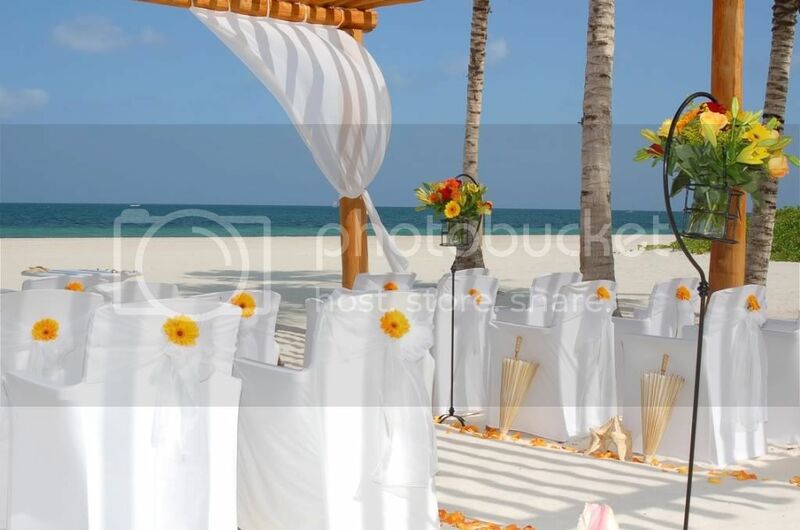 Wedding gazebo on the beach or Main Wedding gazebo are the two preferred wedding locations. In case of inclement weather we can use as a back up at Excellence Playa Mujeres a terrace Ocean View at the Restaurant Spice, and at Excellence Riviera Cancun the Foyer area which offers also ocean View. Besides this two options at all the Excellence Resorts we can use a Restaurant (if available )or our Meetings and Groups space where we can perform also the Wedding Ceremony and reception with no additional charge. 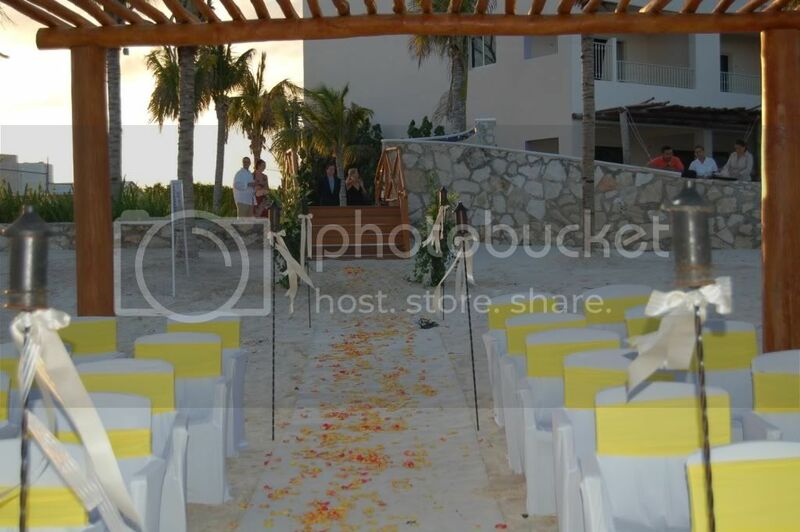 What are the reception locations, and can you provide photo’s of the locations ( preferable decorated)? Are they provided free of charge with the wedding packages? What are the backup locations in case of inclement weather? We would also need the maximum number of guests that each location could accommodate. We offer a wide option of areas for wedding receptions, but the most common areas are at the restaurants which works as follows: each of the 8 Restaurants that we offer as a standard closes one day a week, Groom and bride decides to use the restaurant which is closed on that day at their leisure In case of inclement weather we can use as a back up at Excellence Playa Mujeres a terrace Ocean View outside of the Restaurant Spice, and at Excellence Riviera Cancun the Foyer area which offers also ocean View. Besides this two options at all the Excellence Resorts we can use a Restaurant (if available )or our Meetings and Groups space where we can perform also the Wedding Ceremony and reception with no additional charge. What are the wedding packages and cost for 2009 ? Are you flexible on interchanging components within the packages? The cost for additional guests outside of what the packages allow? Every wedding is customized for our groom and brides and there for we are flexible in interchanging components or items within the packages. if there is a component or item that clients are looking for and this involves a charge they will always be advised what and why would the charge for this will be. and the cost for extra guests of the what the package allows is $45.00 usd. Do you allow outside vendors ? Is there a fee? Do they require a day pass? Do you have any vendors that you will not allow onsite, (there is an issue with a few vendors at other resorts that will not allow them)? Within the Excellence of Love and Gold Excellence Wedding Packages we already include services for pictures or video and although we do not recommend any outside vendor to ensure the safety liability of services to our guests we do allow the presence or services of outside vendors as long as we will be advised what cervices will be provided and if a day pass is paid if not staying on property which the cost will be $150.00 usd, if staying on property there will be no charge for them. Note: The contact we have for Weddings at Excellence Resorts we make it directly with our Brides/Grooms, there for the services of outside Wedding Coordinators will not be taken as our main contact and information will only be addressed to our Brides/Grooms. Are children allowed onsite for the ceremony? Excellence Resorts are managed under the adults only polices and children are not allowed on premises. Is there a requirement of how many guests must stay at the property to attend the wedding & reception i.e. : 75% must be guests of the property ? No, there is no percentage of people required staying on property to attend the wedding or reception. If clients are not staying on property a day pass policies will be applied. What is the day pass fee and hours ? Full day pass cost is $150.00 usd per person from 09:00 am to 11:00 pm. If Only attending the wedding with the Gold Excellence Package will be $70.00 usd per person. And will allow clients to stay for the wedding and reception length. How many weddings on average does each property accommodate yearly? 150 weddings per year average are held at each Excellence Property. What is the standard response time from the wedding coordinator via email or telephone ? A 24 to 48hr response time maximum. Does the wedding coordinator do a walk through with the bride & groom during the wedding rehearsal the night before the wedding? Yes, Wedding Coordinator always does a walk trough with the Bride and Groom. Will the wedding coordinator be in attendance during the entire ceremony and reception? Yes Wedding Coordinators are always present during ceremony and reception. Here are a few photo's- aren't they stunning!? -Excellent service, again and again I hear from all of my DW brides and honeymooners that the service at this resort is top notch! 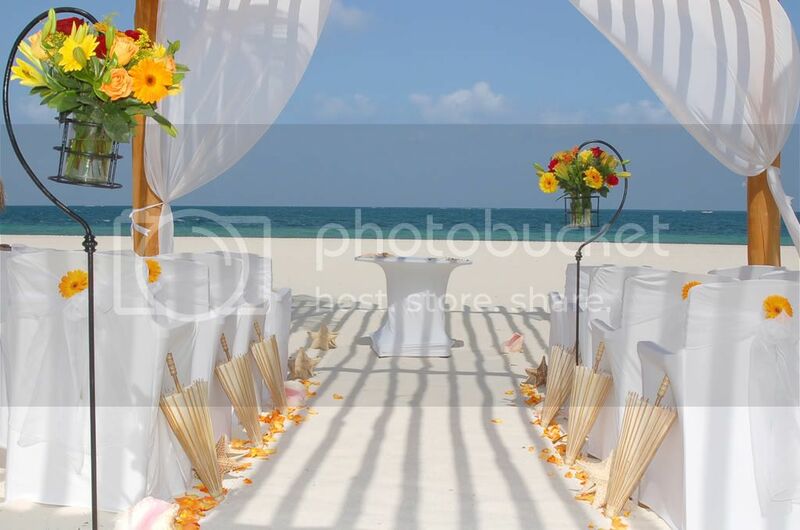 -Beautiful beach location that is somewhat private- the resort is willing to rope off the area while the wedding is taking place, I also like the fact that the beachh wedding gazebo is located at the end of the beach and that teh stairs to the beach make a dramatic entrance for the bride. -Willing to swap out (within reason of course) various components of the wedding packages! - 24 hour room service ( the brides tend not to eat on the wedding day- too much going on and visiting to do) so the 24 hr room service comes in handy! -Amazing spa- one of the best in Riviera Maya! -Only 2 weddings a day- that means that you will feel extremely pampered and special. Plus the resort is large enough that you may not see the other bride! -Even if you do not qualify for the free wedding package it is reasonably priced. -Those little hidden boxes for room service where they place the room service in a nd a light goes off to let you know that's arrived, no need to answer the door- I think that they are a fantastic touch especially for newly weds! I hope that this review was helpful! Feel free to post any questions! This is where we will be getting married in June. Can you tell me if the receptions for 20 people count the bride and groom or is the 20 people all guests? We currently have 25 people booked and just trying to get our extra costs figured out. Also, does the $45 cover the dinner and reception for the extra people? Thanks.